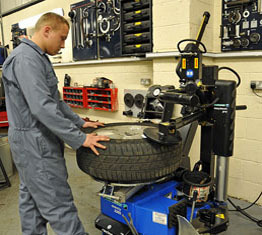 The high quality service we pride ourselves on at Les Potts 4 Wheel Drive is assured through our training carried out at the Land Rover Technical Academy. 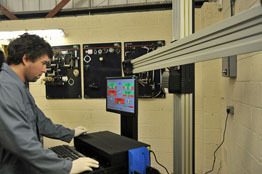 All our apprentice technicians are working through the Advanced Modern Apprenticeship (Technical Certificate) programme, supervised in-house, ensuring first class product knowledge. 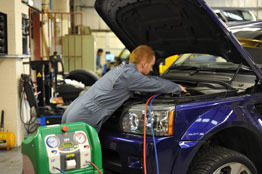 Les Potts and his technicians have completed over 500 hours of training at the Land Rover Technical Academy since 2006. 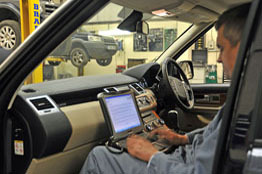 Heading up the team is Managing Director, Les Potts, who is a Land Rover Master Technician, Fellow Member of the Institute of Motor Industry and a Certified Automotive Engineer. Les worked in a Land Rover dealership for 11 years before establishing Les Potts 4 Wheel Drive in April 1997. 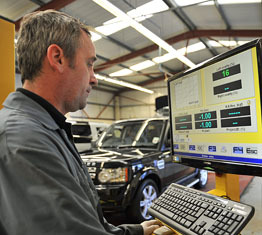 Over the years, Les has picked up many accolades for his work, most notably in 1995 when he became the national winner of the inaugural Land Rover Autocourse, which focused on new technology developments across the product range. In 1996, Les was discouraged from entering to give other technicians a better chance! 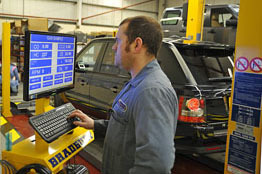 Furthermore, Les Potts 4 Wheel Drive is a member of both The Institute of Motor Industry Brass Plaque Scheme and The Retail Motor Industry Federation and, by adhering at all times to the strict codes of conduct set out by these organizations, we enhance our quality service even further!